Buying a Reptile? Go Local! In the past, all reptiles available for purchase or adoption were ‘wild caught,’ meaning they were taken directly from their native habitats and shipped to the US to be turned into pets. These reptiles were often poorly treated during capture and shipment, and could carry a wide variety of diseases and infections. Worse, large-scale harvesting of wild animals led to major, long-term damage to certain animal populations and environments. Nowadays there are many more captive bred reptiles available, meaning animals that were born in captivity in the US. These animals tend to be much healthier because they are not exposed to the same diseases that wild animals encounter, and they generally receive better care because they are raised to become pets. In addition, they are already adjusted to living in enclosures similar to what you have at home, so they are significantly less stressed as pets. If you are looking to purchase a reptile or amphibian (or ‘herps’ as we call them), look for local breeders in your area, and make sure you know your animal was not caught in the wild. Some rescues and shelters may even have rescued reptiles available for adoption. Buying captive bred reptiles not only gets you a healthier animal, it helps protect the wild animals from being caught and taken out of their natural environment. Click here to check out the official Association of Reptile and Amphibian Veterinarians (ARAV) position statement on keeping and obtaining ‘herps’ (opens in new window). 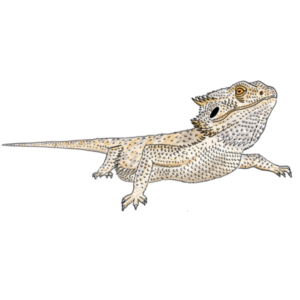 Click here for Dr. Chuck’s pet information sheets on common pet reptiles!